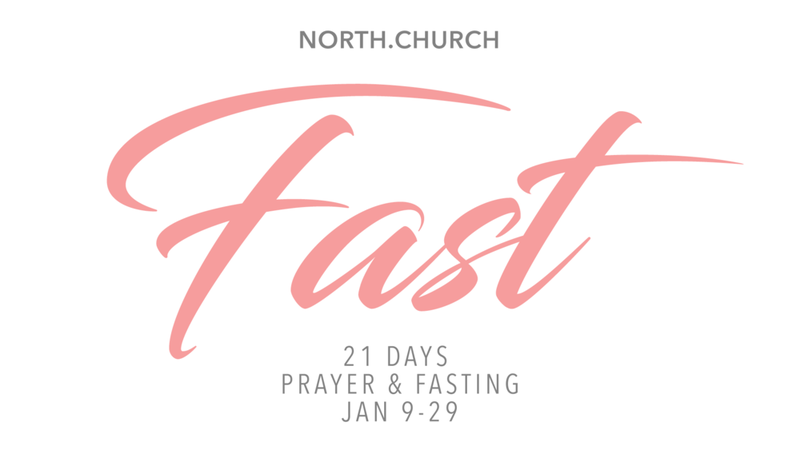 January 9-29th join us for twenty one days of prayer & fasting as a church family as we seek God and expect Him to do amazing things in our lives and our church. A: Fasting is voluntarily denying the body by giving up something (usually food and drink) so that you can focus more on God, communicate with Him in prayer, and deepen your relationship with Him. Q: I have a health condition, or have trouble fasting for long periods of time. Are there other kinds of fasts? A: Yes! Some of the other kinds of fasts include: media (TV, movies, music, or social media); a partial fast (from sugar, soda, or certain kinds of food); or the Daniel Fast (see below). The main purpose of fasting is to intentionally give something up so that you can focus more on God in prayer and seeking Him. Always ask your doctor before starting a fast. Q: What should I do about my prescribed medications? A: Always consult your doctor before beginning a fast, and follow the medical regimen they prescribe. You may also want to try the Daniel Fast (see below). Q: How do I start fasting? A: Once you have decided to fast, seek God in prayer to determine your purpose in fasting. Then proceed to abstain from food and drink for the period of time you have committed to. Q: Why should I fast? A: There are numerous reasons to fast: to gain a closer personal relationship with God; to pray for healing and against sickness or danger; or for the salvation of a loved one; and many more. Q: What is the significance of prayer with fasting? A: Fasting should have a purpose, and this purpose is conveyed to God in the form of prayer. Prayer before a fast, at various intervals during the fast, and at the end of the fast clarifies our purpose, and focuses us on what God may be telling us as we spend time with Him. Q: How long should I fast? A: The length of a fast can vary. We will be fasting as a church for twenty one days. The length of a fast should be determined by each individual, after praying about how long God would have them fast. Always consult your doctor before beginning a fast. - All fruits and vegetables. These can be fresh, frozen, dried, juiced or canned. - All whole grains, including but not limited to: whole wheat, brown rice, millet, quinoa, oats, barley, grits, whole wheat pasta, whole wheat tortillas, rice cakes and popcorn. - All nuts and seeds, including but not limited to: sunflower seeds, cashews, peanuts, sesame. Nut butters like peanut butter are also included. - All legumes. These can be canned or dried. Legumes include but are not limited to: dried beans, pinto beans, split peas, lentils, black eyed peas, kidney beans, black beans, cannellini beans, white beans. - All plant or nut oils, including but not limited to: olive, canola, grape seed, peanut, and sesame. - Beverages: spring water, distilled water or other pure waters. - Other: tofu, soy products, vinegar, seasonings, sea salt, herbs and spices. - All meat and animal products, including but not limited to: beef, lamb, pork, poultry, and fish. - All dairy products, including but not limited to: milk, cheese, cream, butter, and eggs. - All sweeteners, including but not limited to: sugar, raw sugar, syrups, molasses, and cane juice. - All leavened bread, including Ezekiel Bread (it contains yeast) and baked goods. - All refined and processed food products, including but not limited to: artificial flavorings, food additives, chemicals, white rice, white flour, and foods that contain artificial preservatives. - All deep fried foods, including but not limited to: potato chips, french fries, and corn chips. - All solid fats, including: shortening, margarine, lard, and foods high in fat. - Beverages including, but not limited to: coffee, tea, carbonated beverages, energy drinks, and alcohol.